Situated in 1,800 acres of parkland, Ickworth House is a real sight to behold. The Rotunda, being the most prominent asset of the House’s façade, stands at over 100 feet high and is unique in its cylindrical shape. Attracting thousands of visitors each year, you can really understand why this house and its gardens are so popular when you are approaching the property. Home to a huge collection of fineries, Ickworth is definitely worth a visit if only to see the artefacts on display. It contains nearly 11,000 objects from silverware and china to paintings and books. This display of historical opulence and wealth isn’t all that is on show at Ickworth, however. Make sure you have a look at the Basement. It offers a fascinating insight into what it was like for those who lived behind the scenes and worked as servants in the grand house. You can take a tour of this area or attend one of the living history days to gain a more interactive insight. Once you’ve explored the many rooms and wonders of the house, have a breath of fresh air in the gardens. The Walled Garden is home to a vineyard and the allotments, which are tended by the estate and local schools. 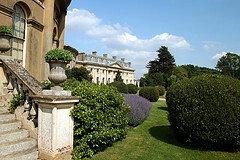 The Italianate Garden is also a treasure and surprisingly wasn’t designed by a landscape architect, but by a family member of the owner – the Marquess of Bristol. There is such a huge amount on offer at Ickworth so you can easily spend a whole day there. 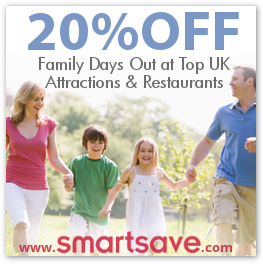 It is the perfect place to go for a family picnic, to immerse yourself in history or to admire some fantastic architecture, scenery and wildlife. Opening Times: House 11am-5pm, Gardens 8am-5pm, Parkland, Woods and Children’s Playground dawn to dusk. Open all bank holidays except 25th December.